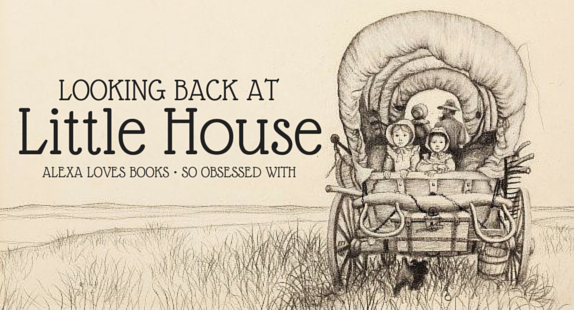 Hannah of So Obsessed With & I have teamed up to bring you Looking Back at Little House, a three-day celebration of our love for the Little House series by Laura Ingalls Wilder. We started off talking about our experiences and expectations of the series. Then we talked about our reread, reactions and our favorites. 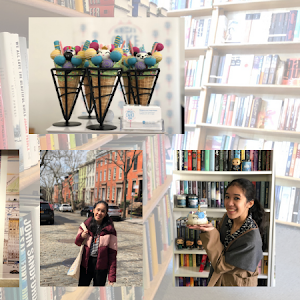 And today, on the final day of our mini-celebration, we're sharing some further reading recommendations. Hannah will be tackling non-fiction reading recommendations today, while I focus on the fictional reading recommendations. 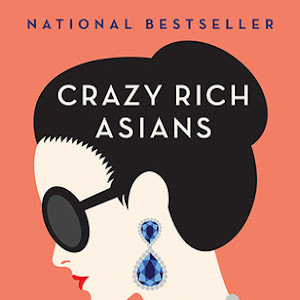 While the Little House series is the most well-known part of the story, there are actually novels written in a similar fashion about other women in Laura's family: her great-grandmother, grandmother, mother and daughter. It's a fascinating glimpse at these ladies whose lives are similar yet different from Laura's, and another way of learning more about this family and their history. The Martha Years (Melissa Wiley) - I honestly had no idea that this spin-off even existed, but it's fascinating to me that someone wrote about Martha, Laura's great-grandmother, who hails from Scotland. This account is mostly fiction, as there's only very little primary source material about Martha. The Charlotte Years (Melissa Wiley) - I also had no idea this existed, but I think it wold be fun to read about Laura's grandmother, who grew up in Massachusetts, near Boston. There's more material and historical sources, so while it's still fiction, fact is woven in. 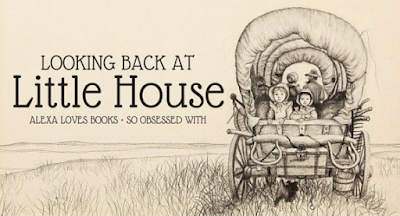 The Caroline Years (Maria D. Wilkes) - When I was rereading the Little House series, I was curious about Laura's Ma. 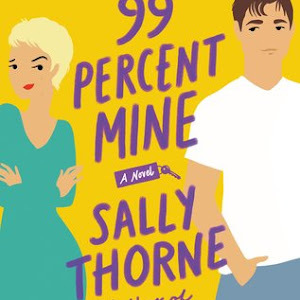 There was something about her that called to me, and it's so cool that there's a series that gives readers a chance to see what her life was like before Pa and the girls. Again, this is a fictionalized account, though it's based on lots of facts. The Rose Years (Roger Lea MacBride) - Of the spin-offs, this is the only series I've read. I really enjoyed meeting Rose, who is the best and worst of her parents. Her life is a lot like theirs, but also different, since they lived in an entirely new place. It was an acquaintance of hers that penned her story, and he based it primarily on the Little House literary estate that was bequeathed to him. One of the best things about the Little House series is that it paints readers a portrait of a particular time in American history, when journeys to the west and homestead claims were commonplace. New homes, new towns, progress - all these things were a part of the pioneer life shared so easily in the series. Here are a couple of reads that are set in the same historical period. American Girl: Kirsten series (Janet Beeler Shaw) - I was obsessed with all things American Girl as a child, so I immediately thought of Kirsten when I was thinking of fiction set in a similar era. Kirsten and her family are newly arrived from Sweden, and her novels cover their life as they settle into America and live the pioneer life. Sarah, Plain and Tall (Patricia MacLachlan) - I read this one as a little girl, and remember being obsessed with this "found family" and their charming tale. I had no idea it was a series, but now that I do, I'm admittedly a little curious about how the story continues. Under a Painted Sky (Stacey Lee) - I'm pleased as punch that this fits right in with this section! 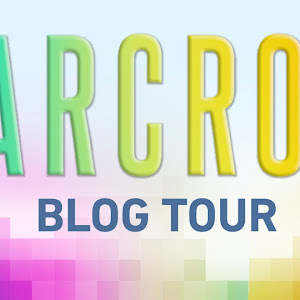 It's a debut novel about two girls who disguise themselves as boys and embark on a journey west. There's heartbreak and hardship, but also hope and happiness too. These is My Words (Nancy E. Turner) - This novel is about Sarah Prine, and she narrates her journey as if writing in a diary (which I personally enjoy reading when done well). It's an account filled with joys and sorrows, and yet another perspective on the journey through the frontier. Plus, there's a romance alluded to so... I will likely check it out. Love Finds You in Wildrose, North Dakota (Tracey Bateman) - Who doesn't enjoy a good love story? This one sounds particularly heartbreaking, as a girl arrives in North Dakota to find her twin sister dead and the household she left behind not cared for properly - and she decides to stay and do something about it. Ride the Wind (Lucia St. Clair Robson) - While set in the same time period, Cynthia's tale is very unique because she's abducted by Indians at a young age. It's definitely something different, and that intrigues me. The Diary of Mattie Spenser (Sandra Dallas) - Hannah has read this one, and it does remind her of the Little House series. It's the story of Mattie and her husband Luke as the face the challenges of newlyweds and a new frontier. West to a Land of Plenty: The Diary of Teresa Angelino Viscardi (Jim Murphy) - This volume tells of Teresa and her family as they go from New York to a new community in Idaho, a journey that sounds similar to the one in Little House. Across the Wide and Lonesome Prairie: The Oregon Trail Diary of Hattie Campbell (Kristiana Gregory) - Hattie's story recounts the journey west that she and her family take, including all the joys and sorrows of such a trip. The Great Railroad Race: The Diary of Libby West (Kristiana Gregory) - Towards the end of the Little House series, the railroad becomes a big part of their lives. Libby's story tells of the construction of the transcontinental railroad. The novels mentioned in this section have a feel or tone that brings to mind the storytelling behind the Little House series. While not necessarily set in the same era, they inspire the same nostalgia or feel faintly reminiscent in terms of the experiences shared. Betsy-Tacy series (Maud Heart Lovelace) - I've only ever read the first novel of this series, but Hannah is a fan and has encouraged me to check the rest out. It basically tells the story of two girls, Betsy and Tacy, and their friendship. As the years go by, these two experience so many things, good and bad, and the series chronicles them all. The Courage of Sarah Noble (Alice Dalgliesh) - While Sarah's story happens way before Laura's tale, it has the same elements: a journey to find a new home, the importance of family and even the Indians. While it might not necessarily portray Native Americans in the best light, it does ring of authenticity to a little girl's experience during that time. The Hearts of Horses (Molly Gloss) - Okay, a novel about a girl who loves horses who is hired to work with them? Heck yes, this one deserves a spot on my future reading list! Martha sounds like a practical gal with a kind spirit, and I'd love to see her handle horses. Hattie Big Sky (Kirby Larson) - Hattie travels to Montana to claim her uncle's homestead, which she's inherited after his death. While her experience is decidedly different, especially because it happens at a later time, it does have the same journey and pioneer spirit. I had no idea there were spin-offs! Somehow those completely missed my radar. :) Molly was my favorite American Girl - haha, I think it was because she was the only one who had glasses! Sarah, Plain and Tall was one of my faves as a kid, too. I am desperate to read Under the Painted Sky. =) Great picks. Real talk: I had no idea that the American Girl series were books. I thought they were just dolls? Total confusion. This is my new favorite post ever. I think I read at LEAST half of these books, LOL. I read pretty much all the Dear Americas. And all of the Little House books multiple times, of course. Also, adding Under a Painted Sky to my TBR immediately! I kept seeing it and thinking the cover was lovely, but I had no idea what it was about. Oh I loved Sarah, Plain and Tall as a child! I need to do a reread of that soon! I think I would've enjoyed The Hearts of Horses as an equine obsessed kid as well, might have to check that one out! ALEXA! These are the books of my CHILDHOOD! 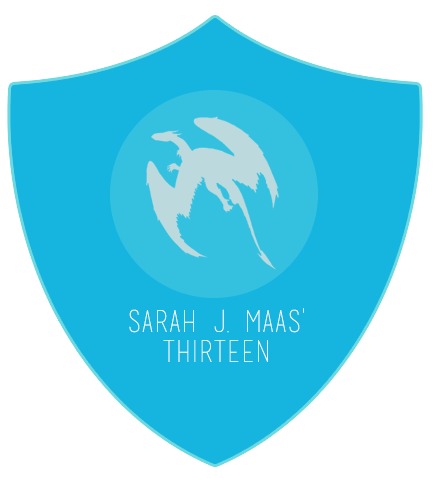 I left a long comment on Hannah's post about the re-read, and now I'm about to leave another long one for you! There was a summer in elementary school when my mother (who is beyond obsessed with Little House -- I'm named after Wilder, all of my first books are picture/board Little House books, we own a first edition of the annotated biography that came out last fall) introduced me to the spin-offs. I devoured them! My favorite was probably the Martha years -- the most fictionalized of the spin-offs. The American Girl and Dear America Diaries books were the BEST for anyone who branches away from Little House! (Mom also owns Kirsten books and the doll...) You nailed the best pioneer ones in the DA books. Lonesome Prairie taught me more about the Oregon Trail than any of my history classes. I haven't read any of the adult books you listed as comparable titles...I'll have to share this with Mom and get her started on some new authors! I've heard Sandra Dallas is a good one. This was awesome awesome awesome. A billion thumbs up. I LOVE MEETING FELLOW LITTLE HOUSE FANS! (And how cool is it that you're named after Laura?) I'm so glad you think that these recs are good ones, and I hope you enjoy all the adult titles I managed to find for the post. I can't wait to read some of them myself! Sarah, Plain and Tall was definitely a read I remember from my childhood! My mom used to get me all these award-winning/required reading novels when I was a kid, and this was one of them. I still have my battered copy squirreled away in my parents' library! I am honored! And I love that you've read a ton of these books, possibly even more than me. And yay! I'm so, so glad you're adding Under a Painted Sky to your TBR. It's such a phenomenal debut and definitely something different. You should definitely read Under a Painted Sky! It's such a great debut novel, and it's definitely something new and different. And yes, they were books! I read them first before I ever wound up owning a doll (and I actually still have those two dolls, Samantha and Josefina). The books were fun to read! Yes, there are! I've only read Rose and a little of Charlotte, but I'm curious about the others. And yay, Molly! She was my sister's favorite as well - and for the same reason!